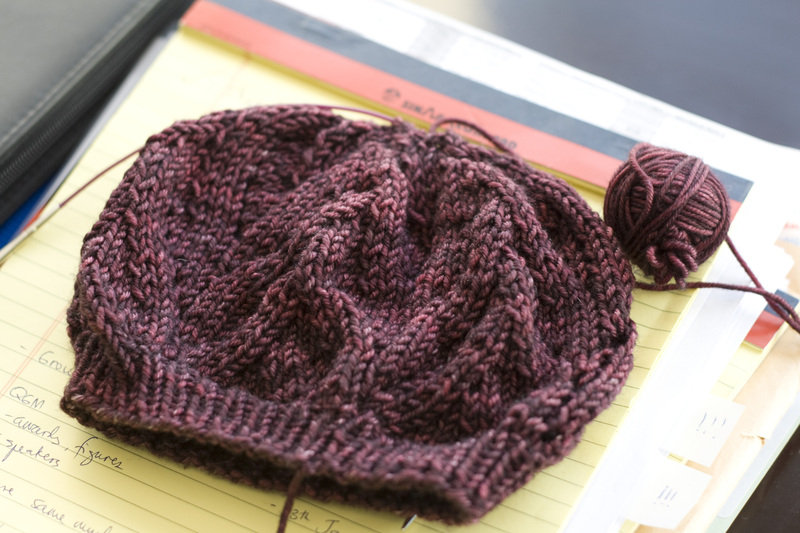 The second Crooked Paths hat is done. For a while all I had was this run-of-the-mill on-the-plate photograph of it. It did take a while to dry, what with the weather being cooler and all, so I was not able to give it to the recipient until Christmas Eve. 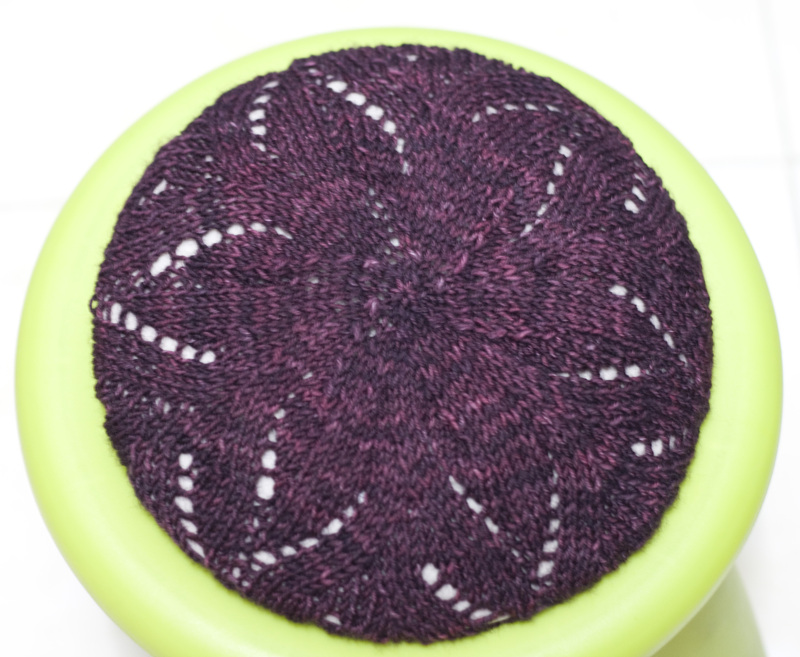 I loved how the flower pattern showed up when I blocked it over the plate. I only did 2 repeats of the body pattern for fear of running out of yarn. This is how much I had left after completing the decreases. I extended the decrease chart a few more rows to give the hat a bit more of the length that it lost when I cut down the body repeat. The good news is that it fits! 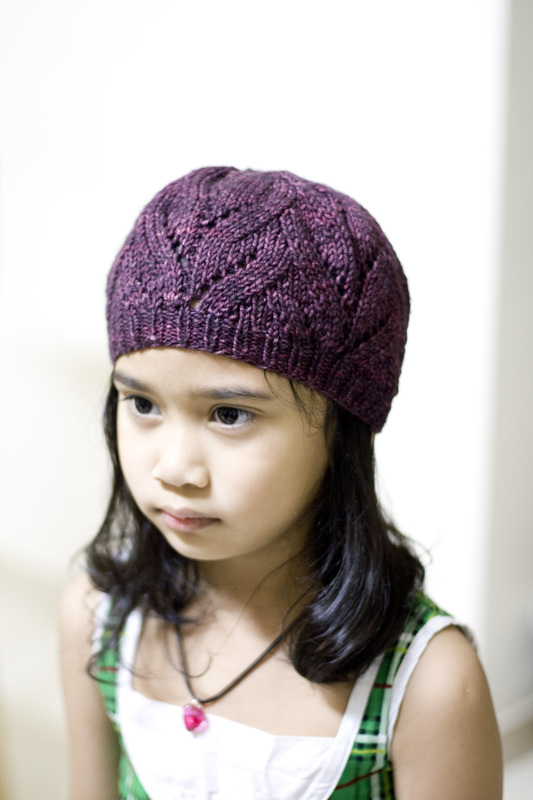 I was afraid that the brim was too tight, having done them in 3.5mm needles. It sat just right on her head and had a bit of a slouch, but not much. I love the stitch definition in Tosh Vintage and cannot wait to start my cardigan using my Sweater Club skeins! The hat will be an extra project if I have leftover from the Composition Book Grey shipment. Isabelle and the hat are adorable! This seems like such a great pattern and you were able to use up precious Vintage leftovers – double great!